The NOVOMATIC Group has locations in more than 50 countries and exports high-tech gaming equipment to more than 70 states. Search for locations in your country or by business unit using the map or the drop-down menus. 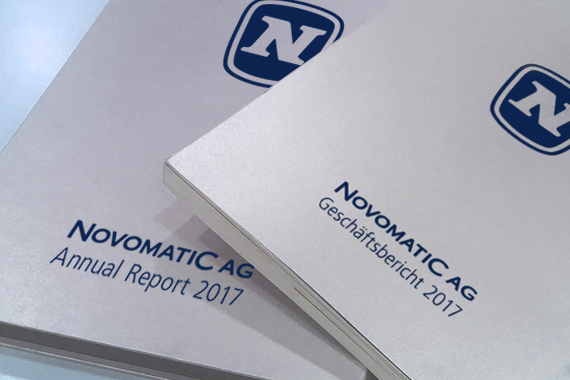 The NOVOMATIC AG Group is one of the largest gaming technology companies in the world with a turnover of EUR 2.5 billion in 2017. The Group has locations in more than 50 countries and exports high-tech gaming equipment to more than 75 states. As a globally active full-service provider, NOVOMATIC is active in all segments of the gaming industry, offering a comprehensive omni-channel portfolio of products. NOVOMATIC is a one-stop solution provider covering the entire spectrum of gaming. This enables the company to achieve maximum customer orientation so as to offer its customers and business partners a first-rate service. NOVOMATIC Vice President of Global Sales, Lawrence Levy, 57, will, as of July 1, 2019 - subject to necessary approval from authorities - take on responsibility for Ainsworth Game Technology Ltd. in the position of CEO. Around 53 percent of the Australian listed gaming company is owned by NOVOMATIC AG. Jens Einhaus will take over NOVOMATIC sales duties for Europe and the Americas, while Sonya Nikolova will be responsible for Africa and Asia. NOVOMATIC WILL NOT MISS NEXT MONTH´S BIGGEST EVENT FOR THE GAMING INDUSTRY IN MADRID. NOVOMATIC Gaming Colombia will showcase a leading selection of brand new products as a platinum sponsor at the 21st edition of FADJA American Gaming show. At the Corferias Exhibition Centre in Bogotá on April 10-11, NOVOMATIC will display its strength in the region on Stand #58 with exciting premieres for Latin America. NOVOMATIC Americas Brings the Thunder. Supported by the NOVOMATIC Group, NOVOMATIC Americas is looking forward to highlighting its latest product innovations on Booth #2331 at the National Indian Gaming Association’s upcoming trade show NIGA 2019 on April 1st – 4th at the San Diego Convention Center. It has been 108 years since International Women’s Day was first celebrated. At that time, the main objectives were equal rights, women’s suffrage and the emancipation of female workers. At NOVOMATIC, the share of women among the workforce is well above the industry average. NOVOMATIC affirms Jade Entertainment as Distributor and appoints Michael Barsin as Sales Manager for South East Asia. NOVOMATIC announces that it has entered into a distribution agreement with Indo Pacific Gaming (IPG) to supply its full range of gaming solutions into the Asia-Pacific region. From February 5 to 7, 2019, Austria’s leading gaming company participated with more than 20 subsidiaries at the world’s largest gaming fair, ICE Totally Gaming, in London. NOVOMATIC presented product highlights for the various industry segments and specific markets, from land-based casinos to AWP and street markets as well as online & mobile. Also a range of solutions for sports betting, specific Bingo products, server-based systems, casino management systems and cash handling products, as well as market-specific products from Group subsidiaries in the UK, the Netherlands, Spain and Germany, were on show. At the Global Gaming Awards in London, NOVOMATIC received the award for the second time in the category “Casino Supplier of the Year”. 1050 E Business Center Dr.
NOVO Panama S. de R.L. Autopista Norte No. 122-35 Ofic 102. Mag. Stefan Krenn, LL. M.